In this artistic representation, I wanted to show a problem that affects my country, my region and especially my compatriots who live in this area of ​​sacrifice. The area of ​​Quintero over the years has been contaminated by industry and entrepreneurs who do not mind polluting the beaches, the air, and the lives of the people who live in this area. 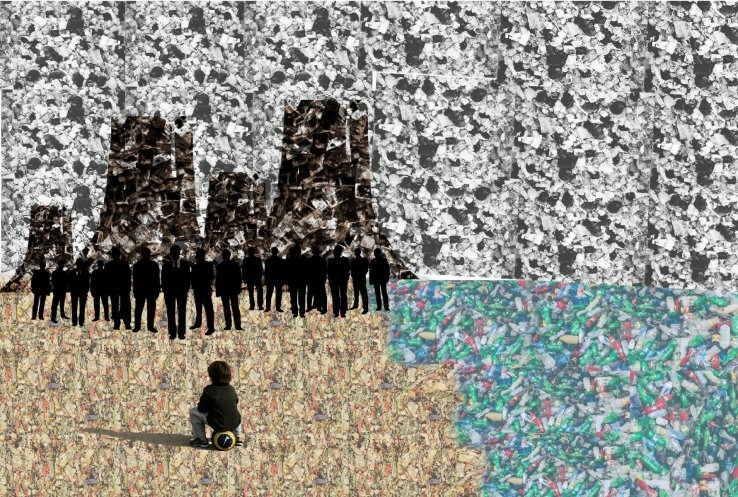 In this collage we represent the beach with garbage, like the sea and the industrial plants, in the main scene we see a boy with a soccer ball looking at the businessmen, this represents the dismay of the people who live in that area.